While my version is considerably less gaffed than the original, it's not exactly impromptu. 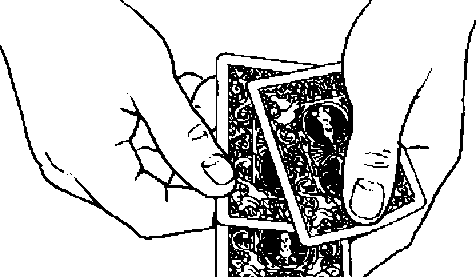 In addition to the deck of cards, you'll require a double-backed card and four duplicate aces of spades. These must all match the deck you're using. Finally, you should have a pen in a pocket that you can reach with your left hand. This may be either a marking pen or a regular pen.